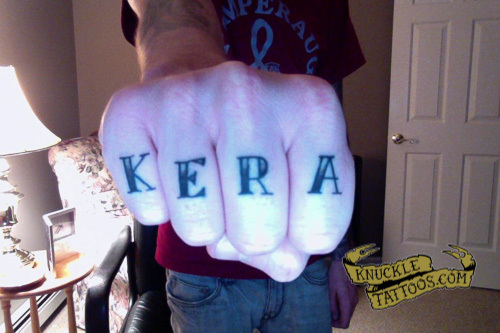 This is my knuckle tattoo of my wife’s name, Kera. She is the greatest girl I’ve met, and will ever meet. I chose to get her name on my knuckles because I wanted it somewhere that could never be hidden, just like my love for her.